This weekly event is hosted by Jen at Crazy For Books. 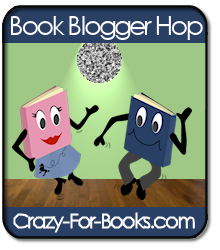 It's a great way to meet new people, find new book blogs and simply share your love of books with like-minded Book Bloggers. The event lasts Friday through Monday so go to Jen's site via the link above and get started! Oh this is nice! I'll follow. Hi! I found you through Follow Friday and am happy to be a new follower! Do you have Google Friend Connect? 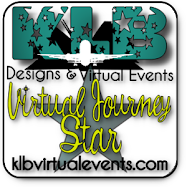 This is a great blog you have and look forward to following you! Have a great weekend! Nevermind!! LOL! There must be something wrong with either Blogger or my system because when I refreshed, the Google Connect thing came up! Hi! I'm visiting because of the blog hop. Great place! I'll be hanging around awhile. Stopping by on the Hop to say hello! Have a wonderful weekend. Hi! I´m stopping by from the blog hop! You´ve got such a great place here! I´m your newest follower! Check out my blog anytime soon, I also love everything Urban Fantasy! We´ve got a few books in common! oh yeah I'm having my very first contest right now! Hope you can participate sometime!